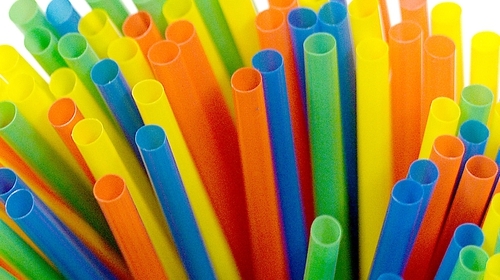 "Single-use" has been named Word Of The Year by Collins Dictionary with "Brexit", "backstop" and "MeToo" all making an appearance on the list of notable words compiled annually by dictionary experts. "Single-use" refers to products, often plastic, which are made to be used only once before they are thrown away. Lexicographers say that use of the word has gone up four times since 2013. "Gammon" used as an insult to describe middle-aged, white, pro-Brexit supporters, is also included, as is "backstop", which has seen an increase in use in reference to what might happen with the Irish border once the UK leaves the EU. "Gaslight" - to manipulate others, often romantic partners, by leading them to question their sanity - makes the list, having seen a big rise. "Whitewash", following criticism about casting white actors as characters from ethnic minority backgrounds, is also on the list. "MeToo" is also a word of the year, with lexicographers saying it has become part of the language, thanks to phrases such as "the MeToo era" and "MeToo moment" in relation to campaigns against sexual harassment. Other words include "plogging", which combines jogging with picking up litter, and "vegan", which has become "increasingly mainstream". "VAR" gets a mention (for the video assistant referee in sports), as does "floss", the victory dance and playground craze. The words will be entered into CollinsDictionary.com and considered for future print editions. "Plogging" and "VAR" are new to the dictionary and will be in next week's new edition. Helen Newstead, head of language content at Collins, said that the year had seen the "rise of new words and the revitalisation and adaptation of old ones" and "contribute to the ever-evolving English language". "It's clear from this year's Words Of The Year list that changes to our language are dictated as much by public concern as they are by sport, politics, and playground fads," she said.